Nice job Nancy! The tilt of the woman’s head is perfect and I love the texture of her hair. I am getting inspired to hook more people! Paula, joy and Julia thank you for your comments. It is great for Nancy to hear. 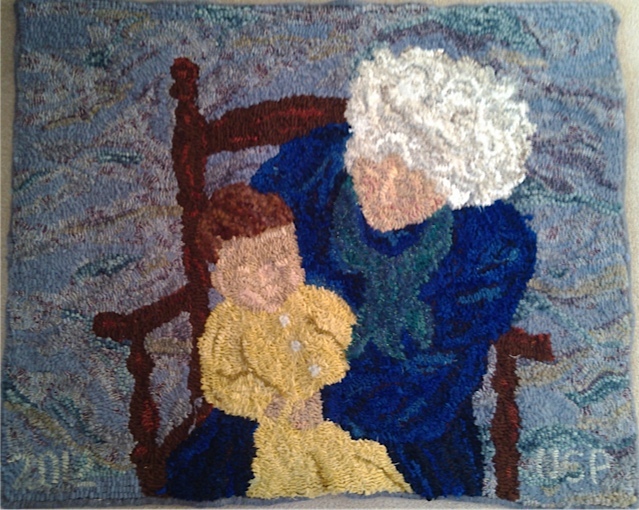 How beautifully she has captured this tender moment with Grandmother holding her Grandchild. I love it …….. everything about it! Thanks for sharing this picture of grandmother and child. It’s beautiful and her hair looks so real. She certainly did a great job.